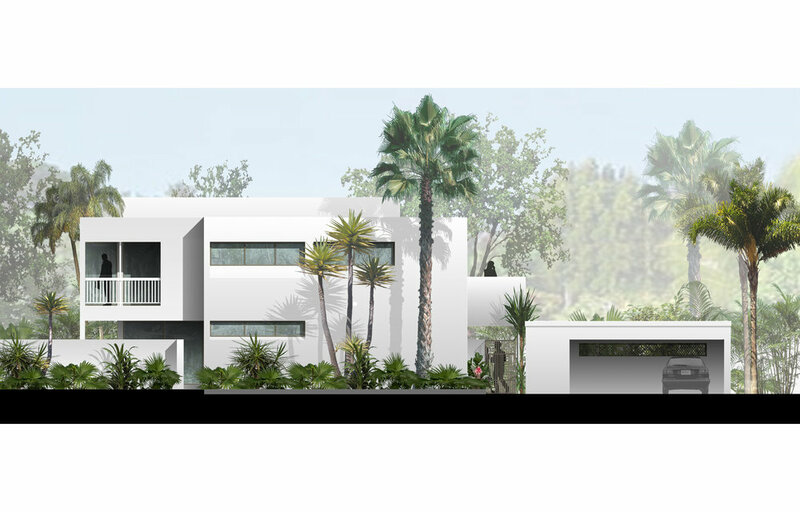 The project is an addition and renovation to an existing 1980’s Florida Modern House. The client’s growing family required additional bedrooms and bathrooms. The entry sequence was redesigned for clarity and comfort and used as a way to layer a new façade onto the existing structure. One enters into a small courtyard garden and proceeds to a covered entry which doubles as an open-air terrace. 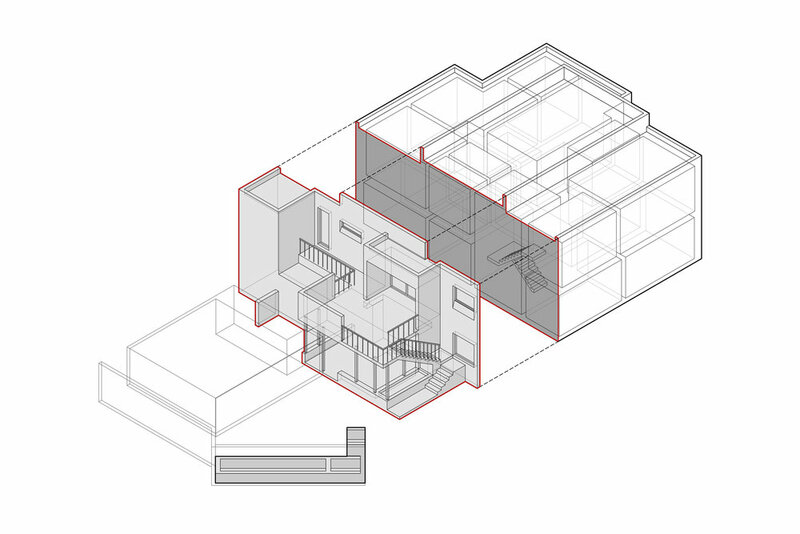 A new exterior stair connects a second floor balcony/terrace allowing direct access to the bedrooms above without entering the public rooms. The new façade provides a filter of outdoor covered spaces from the interior of the house leading to the garden. 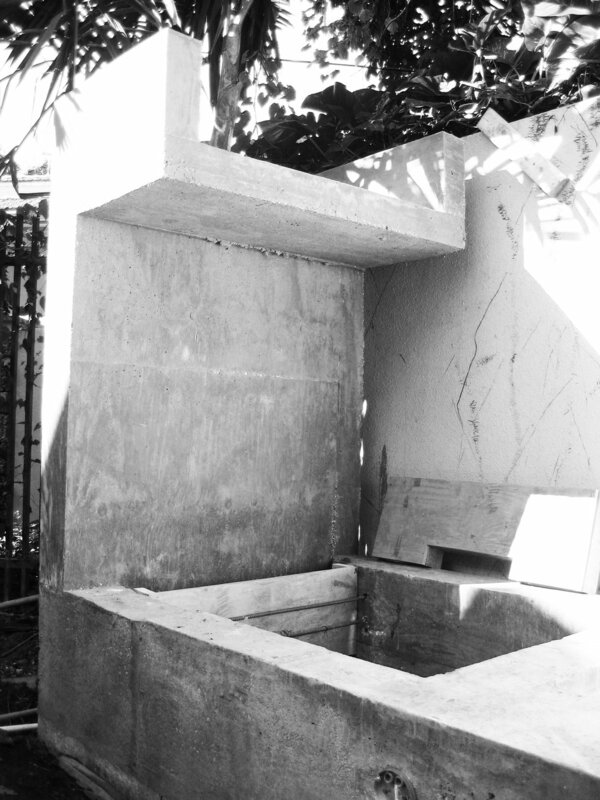 The edge of the garden is enclosed by a new fountain visible from the interior living spaces of the house.